The Holy Spirit is a person, not a vague spiritual force, co-equal with God in the Trinity. The Holy Spirit lives in believers, a forever present Helper who reveals the truths of Scripture to us. It is important to follow the command of Jesus to ask the Father for the Holy Spirit to increasingly fill us and work in our lives. How often do you pray and don’t receive the answer you desire? 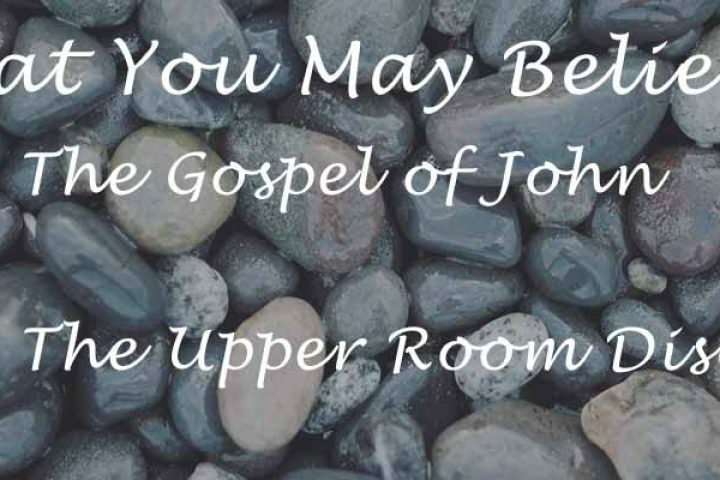 Pastor Becker explains how we can understand another great promise that Jesus gave the disciples during the Upper Room Discourse, “If you ask me anything in my name, I will do it.” He helps us understand what it means to pray in Jesus’ name and what it means that God is glorified. In the verse above Jesus makes this promise to all believers that not only will we carry on His work, but we will do His work in a greater way than He did. What could this possibly mean that we could do greater works? Pastor Gregory breaks down this verse for us and shows us how the work of spreading the gospel to reach others is an even greater work. The only way that we accurately know the Father is through knowing Jesus. God the Father and Jesus share one divine essence – “I and the Father are one” (John 10:30). God’s character and nature are on full display in Jesus. Jesus makes the Father known by His words and by His mighty works. “Now is the Son of Man glorified.” Jesus often referred to Himself using the title Son of Man – a reference to Daniel 7 in which the Messiah is prophesied to arrive in heaven and receive an everlasting kingdom. God is glorified by the death of Christ because the cross fully displays the character of God. His faithfulness is revealed in fulfilled prophesy. His holiness and wrath are made evident, because God’s purity and justice can not be compromised. God’s love is on display: “but God shows his love for us in that while we were still sinners, Christ died for us. In John 13:18-30, Jesus announces in the upper room that on of the disciples will betray him. Jesus is fully aware of the spiritual condition of Judas. Judas did not lose his salvation – he never possessed grace (John 13:10). Jesus extends the morsel of food to Judas in a final gesture of love and opportunity of grace, but Judas rejects Christ and heads out of the room, into the darkness forever. It is possible to know a lot about Jesus and still be outside of His grace. Jesus is the Light of the World, come to Him in faith today. What are the marks of a true disciple according to Jesus? Disciples abide in God’s Word. Their lives are saturated in the scriptures, and this leads to true spiritual freedom. Disciples love one another, following Christ’s example as their standard. Disciples bear fruit to the glory of the Father. Fruit includes our witness, worship, and character, all increasing in holiness and honoring God before a watching world. Just hours before His arrest, Jesus performed the lowly task of washing the feet of the disciples. Christ calls us to follow his example – to be be willing servants of others. Jesus also explained to Peter that if a person has bathed, he only needs his feet washed daily. In the same way when we believe in Christ, our sins are forgiven once for all, but because we still sin we need daily cleansing to remain in close fellowship with the Lord. On the eve of His crucifixion, Jesus took on the lowly task of washing the disciples’ feet. Jesus “showed the full extent of His love,” not only by washing their feet, but by dying for the sins of all. Although He possessed sovereign authority as Emmanuel, God with us — He stooped to serve. May we make the specific choice to cultivate humility (1Peter 5:5).